Ada is a complex computer algorithm that the campaign was prepared to publicly unveil after the election as its invisible guiding hand. Named for a female 19th-century mathematician — Ada, Countess of Lovelace — the algorithm was said to play a role in virtually every strategic decision Clinton aides made, including where and when to deploy the candidate and her battalion of surrogates and where to air television ads — as well as when it was safe to stay dark. The campaign's deployment of other resources — including county-level campaign offices and the staging of high-profile concerts with stars like Jay Z and Beyoncé — was largely dependent on Ada's work, as well. First-time visitors to NYC sometimes ask the astute question, "Who's Duane Reade?" These pharmacies can be found on every corner and even wedged into Brutalist buildings. 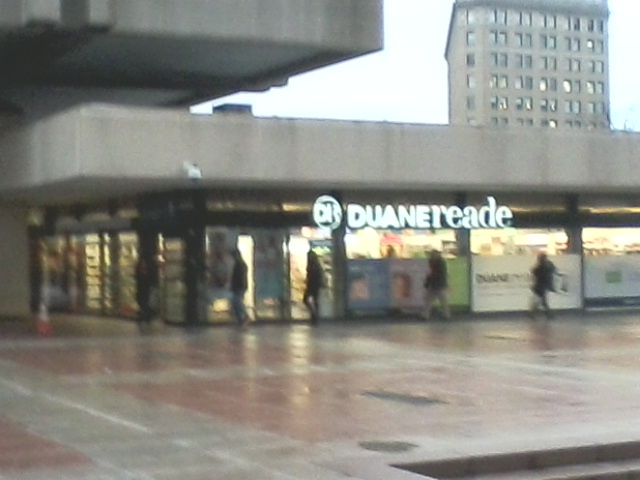 Update: By word of mouth I learned that the company that became Duane Reade was founded near, and took its name from, a block bounded by Duane and Reade streets in what is now Tribeca.